We’ve learned more about comets than ever before thanks to it. But we would’ve learned a lot more, if not for one unfounded fear. Image credit: ESA / Rosetta mission. It’s done! After a ten year journey through space, tracking and following a comet, the Rosetta spacecraft launched its on-board lander, Philae, which then successfully became the very first man-made spacecraft to make a soft landing on a comet! 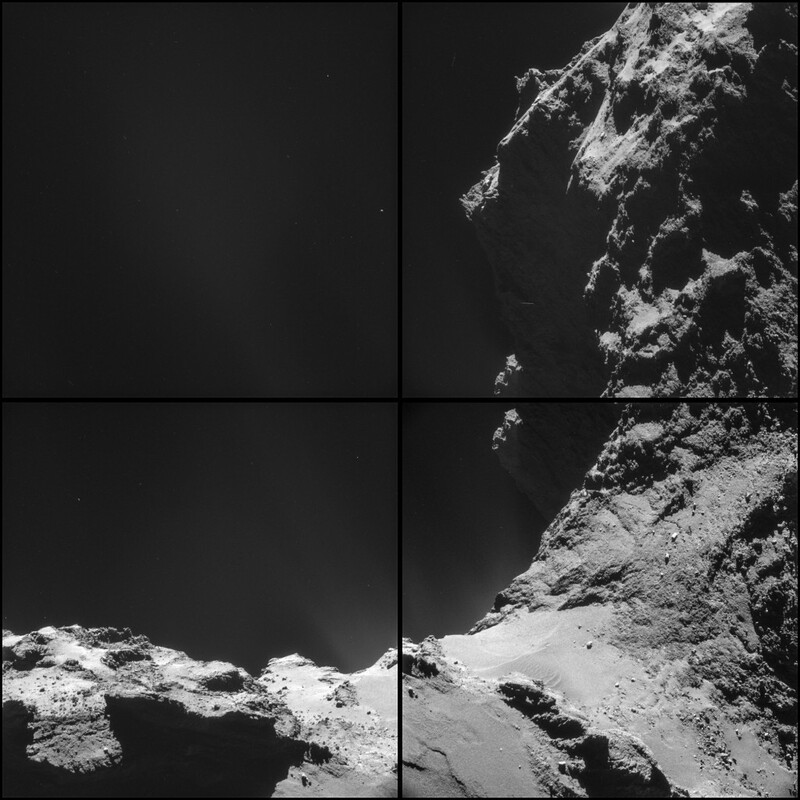 Image credit: ESA / CIVA team, of Philae successfully landed on a comet! The descent thrusters didn’t fire, failing to bind the spacecraft to the comet, preventing a recoil from the impact generated by the downwards pull of the comet’s gravity. The harpoons that were supposed to fire upon touch-down, anchoring the probe into the comet’s surface, also failed to fire. 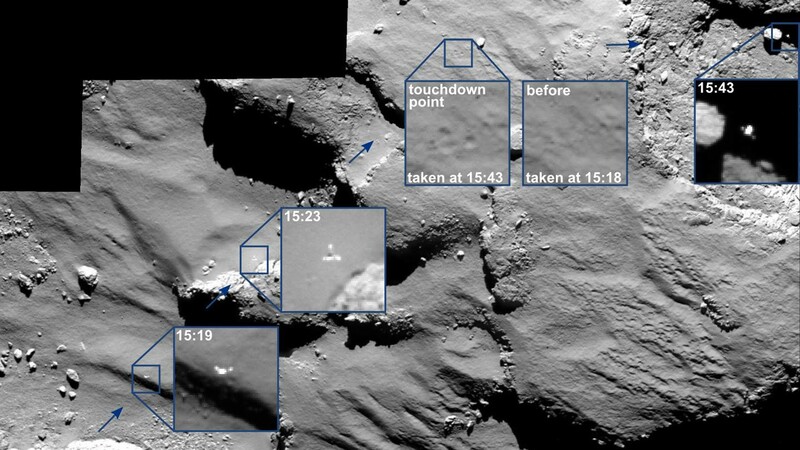 As a result, Philae bounced across the comet’s surface, eventually landing well off-target. Image credit: ESA / Rosetta / MPS for OSIRIS Team MPS / UPD / LAM / IAA / SSO / INTA / UPM / DASP / IDA. The nice thing about the targeted site, mind you, wasn’t that it was the flattest part of the comet, nor that it was the best location for communicating with Earth. It wasn’t even the case that it was the most geologically interesting part of the comet to land on! 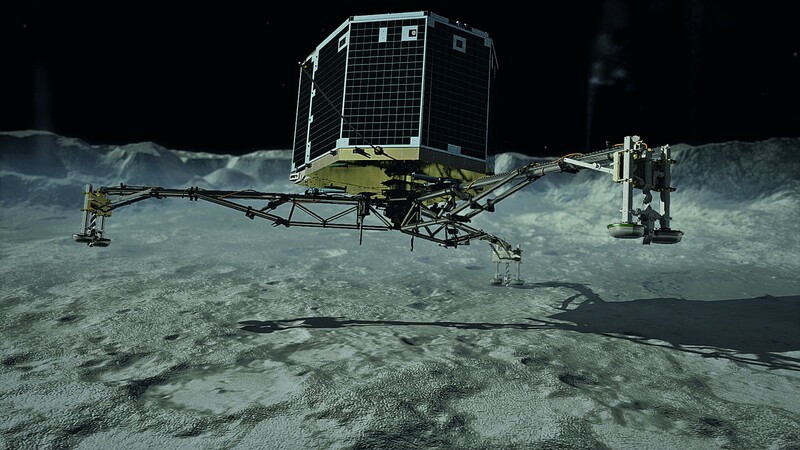 Rather, the site was chosen because it was good enough for those three considerations, but also because it would allow Philae’s solar panels to receive copious amounts of sunlight, allowing it to remain alive well after it had exhausted its primary battery. Image credit: DLR / German Aerospace Center, via https://www.flickr.com/photos/dlr_de/15307802908/. Unfortunately, the double equipment failure led to the spacecraft landing much harder on the comet than anticipated, bouncing many kilometers off course, and coming to rest in a place that was never anticipated. Its eventual resting place came to be against a crater wall, where it receives only a quarter of the sunlight necessary to sufficiently charge it. If you were the spacecraft operator in this situation, what would you do? Tough question, isn’t it? Image credit: ESA / ATG medialab. 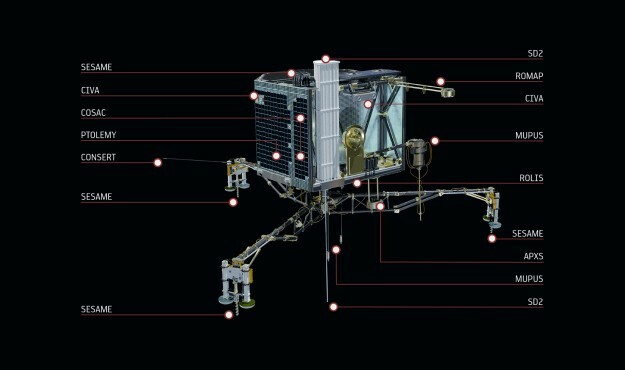 Well, what the Philae team did was really the best possible thing they could have done, given the constraints of what they had to work with. First, they attempted to use the robotic legs to orient the solar panels to better point towards the Sun, so that perhaps they would have a chance of collecting more sunlight. This was a maneuver that would be effective not necessarily for the short-term future, but for the long term: as the comet that it’s on starts to heat up and lose mass as it approaches the Sun — where it’ll lose around 100 kg every second once it develops a tail — there’s a chance that Philae could get a new lease on life, and possibly meet the full suite of its designed scientific goals. 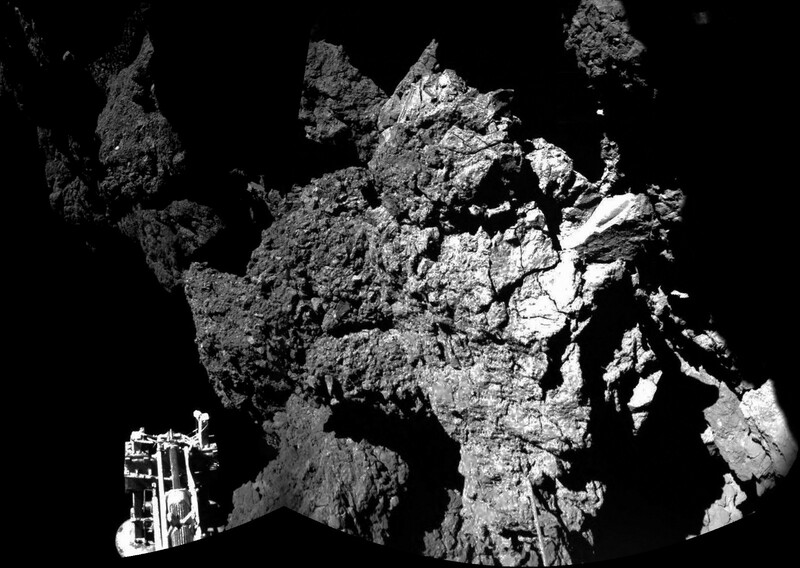 After all, its goals included long-term monitoring of the comet, including seeing from the surface how the comet releases gas and dust, what volatiles and/or organics are expelled, what types of materials lie beneath the surface in the comet’s core, and geologically what accounts for its low density: whether there’s porous ice in there, whether the landing region is representative of the rest of the comet, or whether there’s another (perhaps more surprising) explanation in store. Image credit: Wikimedia Commons user Inconnu. the Ptolemy instrument, which will compare the relative abundances of isotopes found on the comet to samples known to have originated from our Solar System; and APXS (the Rosetta Alpha Particle X-Ray Spectrometer), which can tell us exactly where in the Solar System — the Kuiper Belt or the Oort cloud, for instance — this comet originated from. 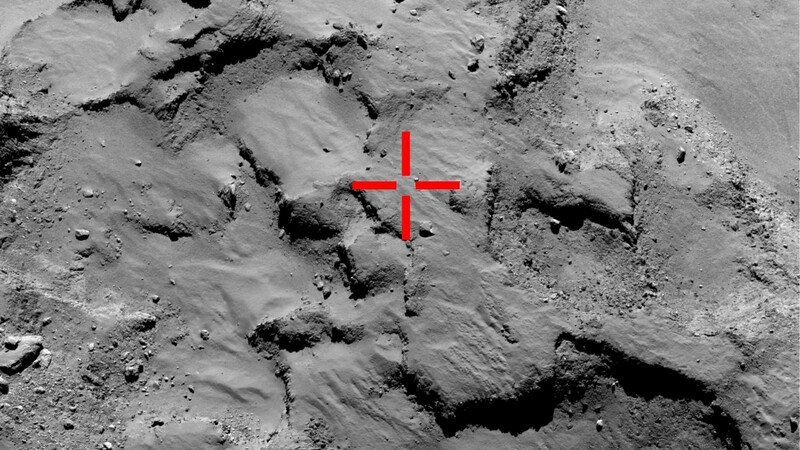 Image credit: ESA / Rosetta / OSIRIS instrument, of Philae’s first landing site (before any bounces). From SESAME (the Surface Electrical, Seismic and Acoustic Monitoring Experiment), we’ve learned that the comet is much harder — like a single frozen block of ice — than we anticipated. If this is true, and the physical dimensions and mass of the comet are what we’ve measured them to be, we’ve got some interesting science to figure out. 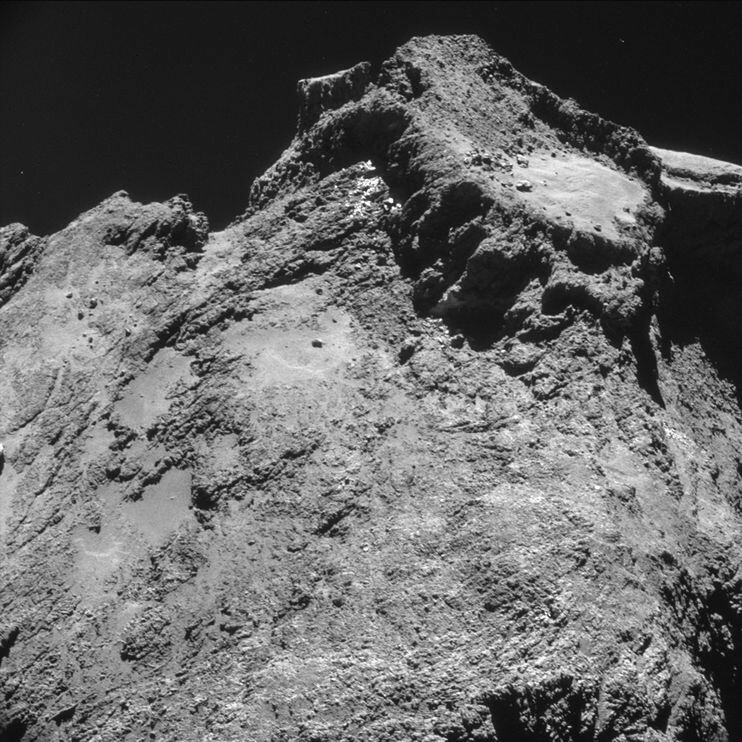 There’s now a puzzle for why and how the comet’s overall density is so low! And the ROLIS and CONSERT instruments took photos and radio measurements that should allow us to map in great detail not only large amounts of the comet’s surface, but also the comet’s interior when combined with data from the Rosetta spacecraft. 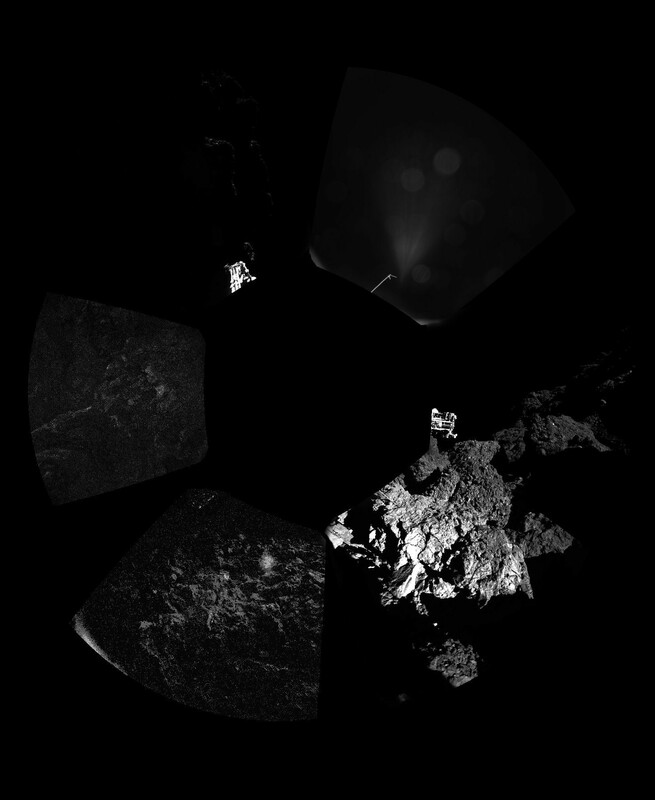 Image credit: ESA / Rosetta / Philae / ROLIS instrument. You can view the full instrument list and their specifications here, including about CIVA, the panoramic camera that took the image below. 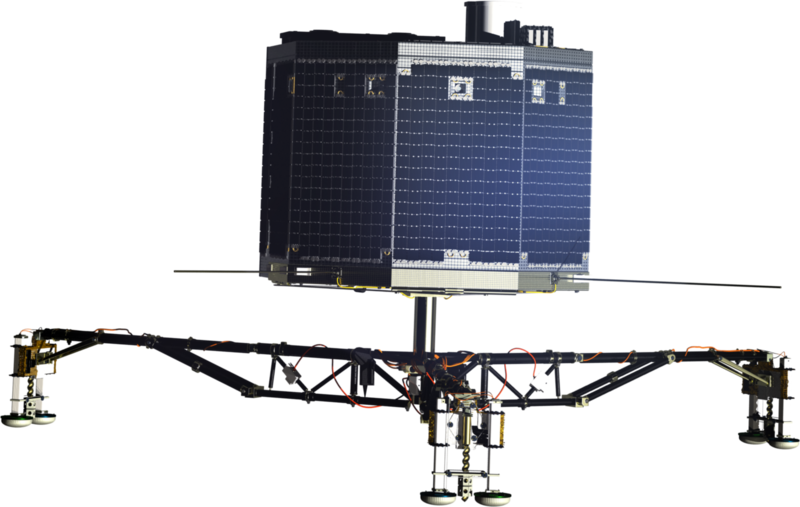 But because of the harpoon failures and the resultant bounces that Philae took, it’s very likely done with all the science it will get to do. Admittedly, it had an amazing run, collected some incredibly important data, and the science will forever change what we know about the most distant objects that make up our Solar System. There’s even still a chance that when the comet nears the Sun, Philae will start getting enough sunlight on its solar panels to recharge its batteries, and wake it from hibernation, where it can continue its mission once again. But we could have done even better, with one simple change. 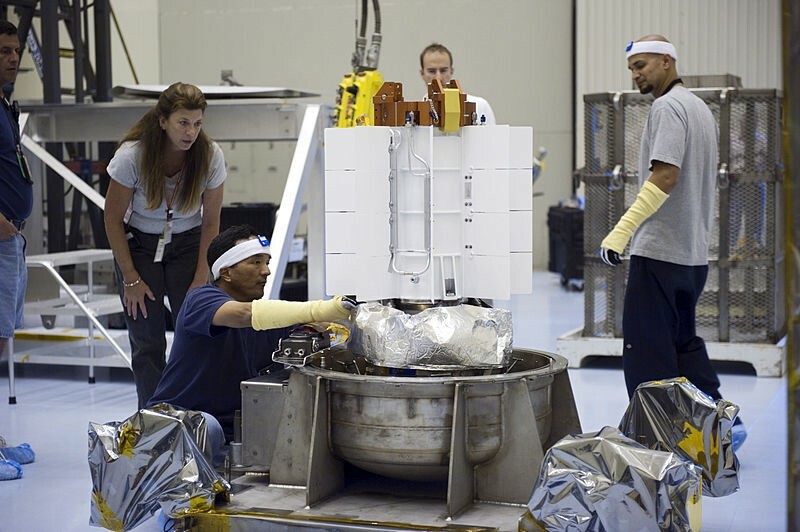 Image credit: NASA/Kim Shiflett, of Mars Curiosity’s radioisotope power source housing, much smaller than the solar panels that would have been needed to generate the equivalent amount of power. And what’s more, is that — despite those who’ll argue otherwise — there really is extraordinarily little risk to the environment or to humans from using a radioactive nuclear source in this capacity. 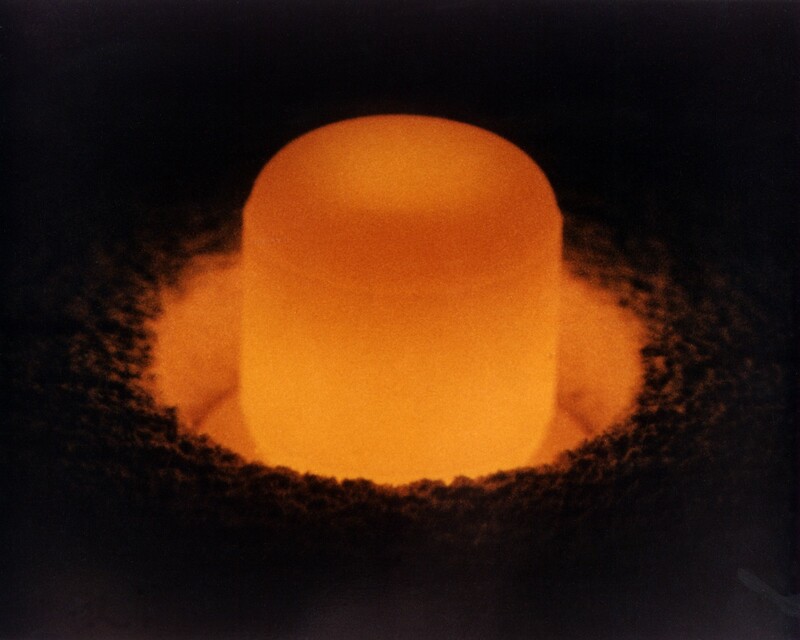 Image credit: Plutonium-238 oxide pellet glowing from its own heat; U.S. Department of Energy. 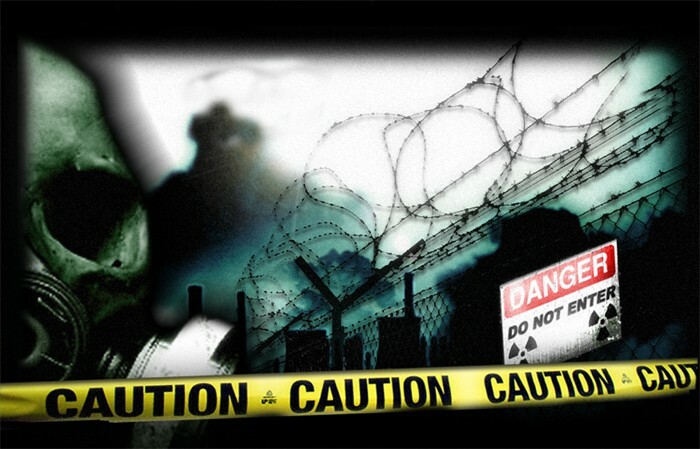 Plutonium-238 is not weapons-grade material. 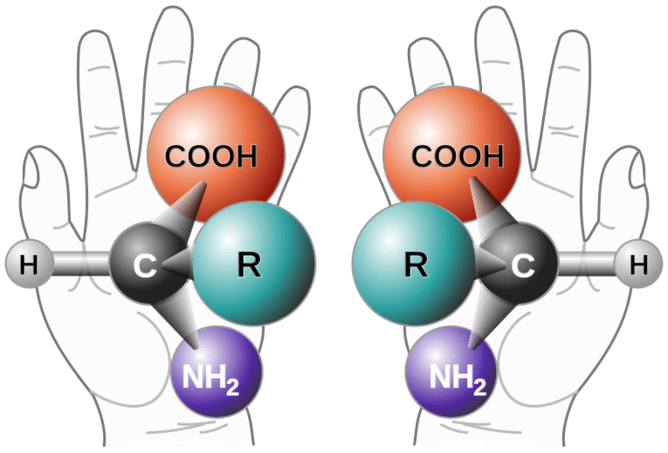 It is not fissionable and is one of the most benign isotopes produced as a product of traditional nuclear reactors. Plutonium-238 is an alpha-emitter, meaning that it’s the most easily shielded type of radiation, stoppable by a sheet of paper. The only harm that can possibly come to a human through it is via inhalation; both the outer layer of human skin (in case of contact) and the insolubitity of the plutonium in your digestive tract (in case of ingestion) will protect you from any radiation. And even in the event of a launch failure — the most catastrophic scenario — the resultant risk to humanity [citation here, from Goldman et al., 1991] would likely result in zero additional cancer deaths worldwide. From the study of the Ulysses probe (launched in 1990), which carried 24 pounds (11 kg) of Plutonium-238, even explosion shortly after launch would have resulted in at most three deaths, and at that with a 0.0004% chance. Image credit: Goldman et al., 1991, via http://fas.org/nuke/space/pu-ulysses.pdf. We store and package this Plutonium-238 in a dioxide (bonded to two oxygen atoms) form, so that it’s insoluble in water, and extraordinarily unlikely have any negative health or environmental impacts. Yet fear-mongering articles like this persist, and people continue to unfoundedly fear what should be (and used to be) the standard for space missions to the outer Solar System. 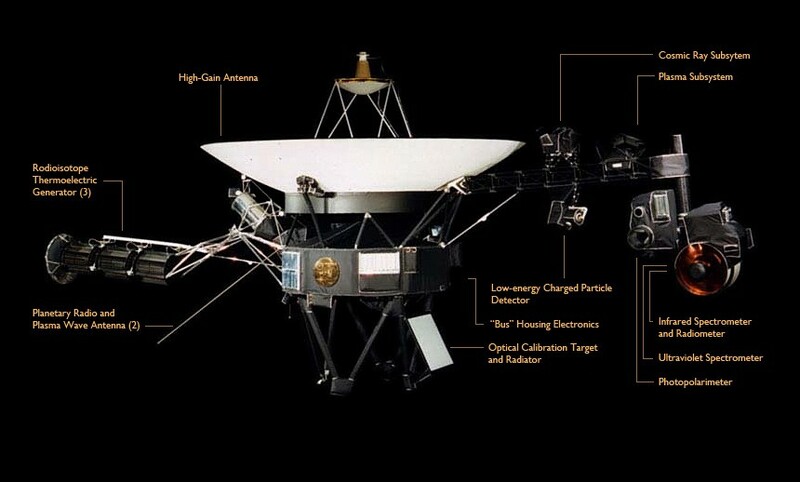 Probes like the Pioneer 10 and 11 and Voyager 1 and 2 used Plutonium-238 as a power source, and they’ve been so tremendously successful because these sources are light, they’re consistent and reliable, they’re long-lasting and they’re unaffected by factors like dust, shadowing or surface damage. Image credit: NASA / JPL-Caltech, via http://voyager.jpl.nasa.gov/. The Radioisotope Thermoelectric Generator is where the nuclear source is housed. When it comes to space travel, the only factors keeping us from using Plutonium-238 as a power source for our missions are our reluctance to mess with nuclear power here on Earth, despite — and this includes the nuclear accidents on Three Mile Island, Chernobyl and Fukushima — their unparalleled record of health and environmental safety when compared to all other conventional power sources. That, and our not-in-my-backyard (NIMBY) mentality about it, despite what an honest assessment of the technology would lead us to conclude. And as it stands, we’re slated to run out of Plutonium-238 in the United States before the next decade goes by, all because people can’t be bothered to have the science trump their unfounded fears. Image credit: deviantART user Zimon666. Too bad, because as amazing as Philae was, we could have gotten years of science out of it, rather than 60 hours. Maybe we’ll draw the reasonable conclusion from this outcome, and commit to the success of science and the advancement of humanity and our knowledge, and accept the very small (but not quite zero) risk associated with it. The Universe is out there, waiting for us all to discover it. Don’t let your fears cheat you out of it. It’s your knowledge, too.